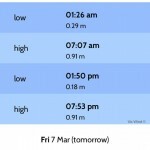 Vic Wind app version 2.4.5 is available for download now from the App store. Includes one or two bug fixes, as well as options that allow you to configure the wind display. For example, you can now display the wind direction text such as ‘SW’ on all maps. Wow! Very soon, the Vic Wind app will be available to download for free as an iPad app on all iPads sizes running iOS 7! The iPad version has been designed specifically for iPads. Stay tuned for more updates shortly. 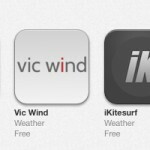 The Vic Wind app is listed on Apple’s iTunes ‘What’s Hot’ list! Thanks everyone for your support. Not bad, considering the many thousands or millions of apps on the market. Vic Wind Website Goes Live! 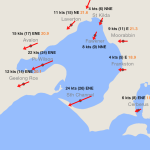 The Vic Wind website is finally live! 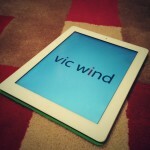 It contains all the latest news and info about the freshest and hottest Victorian weather app – Vic Wind!